First, time to check in on last week. Being held accountable was a good thing -- it definitely motivated me to finish projects rather than just say, "Ah, I'll do it later..." Usually "later" never quite comes around, but I definitely felt a little bit of pressure (in a good way) to get things accomplished. 1. Finish lesson plans for October. Details completed for some subjects (like Bible study that has a defined lesson), goals targeted for others (like phonics that depend on grasp of material). It's definitely at the "ready but tweakable" stage. 2. Catalog my "Homeschooling" Board on Pinterest. D-O-N-E!! Woohoo!! I knew it was not going to be done *quickly* but I didn't realize just how "not quickly" it was going to go. I had figured it would take me about 3 hours, but in the end it took me close to 10. 3. Plan 1-2 field trips for the month. Sort of. We organized a family outing to Hershey Park for our 11-year-old's birthday. I want to try to fit in one more something, but I think it's going to need to be a "weather's good, schedule is good, let's go!" sort of thing. 4. Gather journal and blog prompts. Ongoing. Yes, I have a few to keep us occupied, but I'm keeping an open heart. I've got a page in my planner for ideas for Jude's journal, and installed the Blogger app on my phone so that I can start a post title and jot ideas, and then come back and flesh it out when I am ready to post. 5. Organize Jude's math curriculum to be more efficient across the textbook and workbooks of the program. Started. I realized we are going to finish Unit 1 by the end of this week, so I started aligning Unit 2. I haven't even looked at Unit 3, but since I figure Unit 2 is going to take us 2-3 weeks, I will put that on my "Ongoing Tasks" list and next week revisit Unit 3. 6. Set up Book C of the phonics series. Done. And as I suspected, the hard part was getting to CVS to pick up the sticky tabs. And remembering to purchase them once I was in the store. 7. CCD. Well, I carried the big kids' books into and out of the hospital at least four times, but did get Jude's stuff figured out for the month of October. That has to count for something, right? Guess we'll carry that one over to this week, and double up on lessons one week. 8. Activities for Damien. Ongoing. I have a bunch of worksheets pinned to a board, so I will print out a few at a time for him. Or, I found he liked doing the same Bible coloring sheet that Jude had, so I will try to print duplicates of those. I also am looking for some activities that will require my attention so that Jude will be forced to do activities independently rather than constantly looking to me for input. 1. Play more games. Neal ordered a few board games for everyone to play while Mimie (his mom) babysits this weekend. Jude and I have played Chutes and Ladders once this past week, and really enjoyed it. It took him a while to understand the rules, and I do think it helped that he got lucky and found a ladder that rocketed him to the top of the board. He definitely could use a little more practice with taking turns. We also have a Candy Land game that is waiting for its turn, as well as a Super Why! board game. 2. Arts and Crafts. When we first started Homeschooling, Jude really enjoyed doing crafts, and we haven't had much opportunity of late to do them. I picked up a few fall/Halloween themed crafts, so I'd like to work on them this week and next and then we can use them to decorate the house. 3. Physical Therapy. I am trying to find a way to get Jude into a program sooner than later. I'm currently looking into a Phys Ed program for him to help overall, and going to talk to the therapist that treats his brothers about some things that they can all do together to help each of them (a bit of a "Three Musketeers" philosophy). 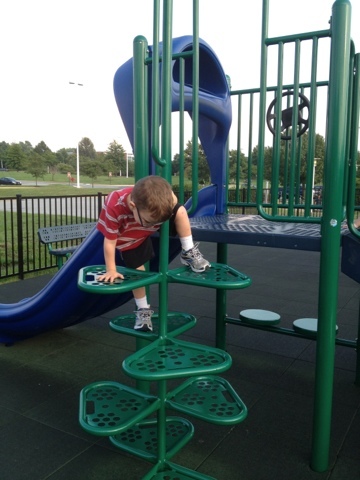 The long-range weather forecast is predicting some gorgeous fall days, so hopefully we can get some good playground time it -- it's something Jude loves and he doesn't realize how hard he is working. 4. Prep a Jesse Tree. For Lent this past spring, we had a daily project where we covered a black foam cross with foam hearts. Each day, Jude wrote which day of Lent we were up to, and then we glued it to the cross, transforming the bleak, black foam into a cross filled with love. For Advent, we are going to get back to our daily project idea with a Jesse Tree. I have a few ideas saved on Pinterest, so I want to sift through them and decide if we are going to do an actual tree and ornaments, or more of a posterboard-and-cutouts tree, or what, and then lay in the supplies and prep them. This is definitely not going to be something completed this week, but no time like the present to start, right? Do you have any plans for the week? Write them down and set some goals - I'm linking this post up at Real Life: Unscripted for this week's edition of the Goal Planning Monday series. Come join us! May I suggest Qwirkle as another family game? I'm not sure if Jude would be interested or not, but given he seems to be on the higher end of the thinking/strategy scale, he may like the game. Personally, John, Taylor and I LOVE this game. It *can* be a little complicated but if you team the little ones alongside the bigger kids, you could have a good family game. That sounds like fun! If there's patterning involved, maybe I should put Jude on my team so I have a fighting chance - he is awesome with patterns! Thank you so much for linking these last weeks. (I'm trying to write with missing keyboard letters. It is challenging *lol*. I should be back in business next week. I will have to check out your boards on interest (can you guess which letter is missing...oh, and a unctuation mark or two, too... I look forward to hearing from you next week and visiting your blog more! You're welcome! Thanks for the opportunity! I think I should start planning on Monday, maybe I would get more done during the week. Hopefully I can keep it up, but it worked at least once! New follower- excited to browse around a little. 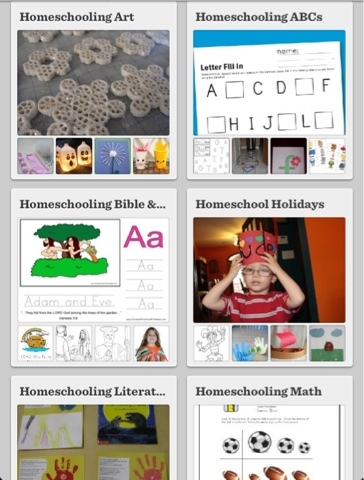 I have a homeschool blog list on my blog. Stop by & enter your blog if you'd like. Thanks! I just had a chance to read it and can't wait to join up! Glad to have you linking up. I am a faithful participant in Goal Planning Monday. I am also a homeschool mom and have been for 22 years now. Unfortunately, I don't get all my goals accomplished every week, one of which is commenting on all those who link up with Goal Planning Monday. I didn't get that done last week. I am happy to meet you and glad we have a new participant. I hope you continue to join us. I love that your goals are so different each week. I have been doing this all 89 weeks, since the very first Goal Planning Monday and my goals seem a bit stale to me, probably to my readers as well. I need to add some more photos and change things up a bit. I will work on that. I think you did great you first week and your goals for this coming week look really good. God Bless.